The Head of the South River-Machar Day Camp (SRM) works cooperatively as a member of the HOC Senior Staff team and as leading SRM Day Camp instructor within the SRM Day Camp staff team. They are responsible for both instructing daily activities as well as planning and facilitating all program activities and schedules within their staff team. The Head of SRM Day Camp will also be responsible for assisting the Program Director with schedules and the overall management of camp activities/activity staff, within their staff team. Including oral & written staff evaluations and assisting the Program Director with camper evaluations. The Monday-Friday routine is to instruct 6 hours of programming each day (9:30 am-3:30 pm) to campers of all ages, as well as provide leadership to the SRM Day Camp staff. The Head of SRM Day Camp is responsible for ensuring all activities/ programs are taught in a safe and fun manner. Communication with camper parents as well as the South River Village office is part of the daily routine. Heads are required to maintain their program areas and equipment. Each Head is required to ensure approximately 1 hr of program development time is achieved by each of their staff each day as required. Every week Heads are also responsible for writing personal evaluations on each camper they teach during the week. Evaluations are proofread and stuffed by Thursday night. Heads are responsible for teaching staff and campers the safety requirements of each program ensuring that all participants use equipment properly and follow safety standards. This includes providing care to our campers that reflects the standards and guidelines of the Hockey Opportunity Camp Code of Conduct. Complete work brigades Sunday morning before camper check-ins. Develop complete lesson plans for all of SRM Day Camp programming. Ride the SRM bus for supervision, once per week or as required. Lead a weekly Head Lice check on Monday mornings. 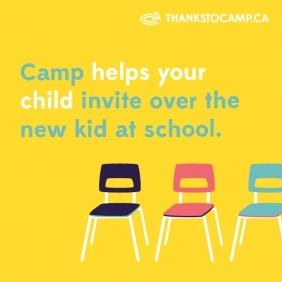 Take a lead role in dealing with any SRM Day Camp camper issues, up to and including contacting SRM Day Camp parents, if necessary. Maintain equipment inventories throughout the summer. Ensure that equipment and program site safety checks take place on a regularly scheduled basis. Teach 6 hours of programming daily, Monday through Friday (9:30 am-3:30 pm). Plus additional evening activity programs, when needed. Complete SRM Day Camp attendance sheets daily. Provide three formal staff evaluations; after weeks 2, 4 and 6. Complete weekly Sr Staff duties as scheduled (Office shift, Coaches Corner, nightly rounds etc.). Approximately 2-4 duties per week depending as required. The Head of S.R.M Day Camp can expect between 8-10 hrs of scheduled duties daily not including other duties as assigned based on program needs. Wages: Summer wages range from $2,000 – $3,200 per summer depending on qualifications and experience of applicants. Room and board are included. Genuine interest in teaching outdoor activities to children & supervising peers.